Although I do not know how to verify the information in this video, it certainly seems like it could be accurate. 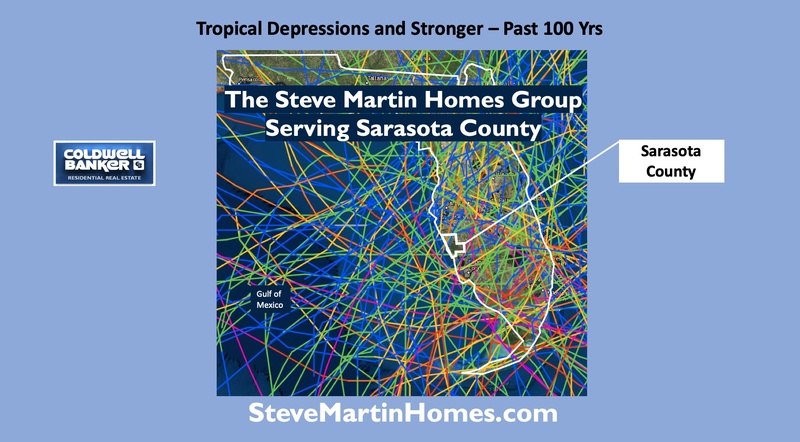 Especially in regards to the low amount of storm activity in Sarasota County through the years. 1983 was the first year that I visited Sarasota County. I was 19 years old and stayed here for 9 months before returning to my hometown just outside of Detroit. From that point forward I kept close tabs on this area, visiting as often as possible. Katrina and I moved the kids to Sarasota in 1998 and then Venice in 2005. From Indian burial grounds, to a dip in the gulf floor off our coast, we hear a variety of theories as to why storms seem to take it easy on us here. I personally do not have a strong opinion on the matter. I do however, thank God that I was able to move my young family to Sarasota County and build a new life for the Smith family in such an amazing part of the world.